You own a Nokia Lumia 820 handset, Nokia will allow you to design the back shell of your phone via the newly launched '3D Printing Development Kit'. '3D Printing Development Kit' or 3DK as it is called by Nokia has been launched yesterday by Nokia to allow its enterprising and innovative fans and users to design the back shell of its Nokia 820 Handset. "Our Lumia 820 has a removable shell that users can replace with Nokia-made shells in different colours, special ruggedized shells with extra shock and dust protection, and shells that add wireless charging capabilities found in the high-end Lumia 920 to the mid-range 820. 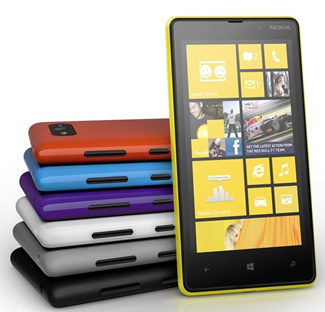 Those are fantastic cases, and a great option for the vast majority of Nokia's Lumia 820 customers. But in addition to that, we are going to release 3D templates, case specs, recommended materials and best practises — everything someone versed in 3D printing needs to print their own custom Lumia 820 case." Nokia thus became the first major smart maker to allow designing 3 D schematics for its phones, and also for the first time let the users choose how they want their phones to be designed. This is surely a first for a very closed company in terms of its designs and development, as this means effectively putting the design in the hands of users. This is what I call a master stroke from the Finnish mobile phone giant whose fortunes have rather been in a very bad shape lately. Perhaps this will help them woo back customers. If you want a quick tutorial about printing on iOS and Android please visit here. Please post your comments on the article.